Katherine Cornell is an experienced trial attorney whose practice focuses on pharmaceutical and medical device cases nationwide. 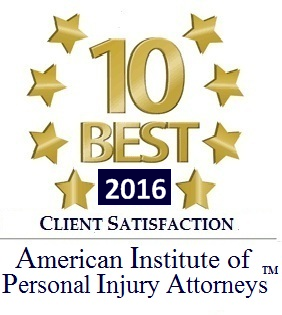 Clients have come to rely on Ms. Cornell for her breadth of experience and dedication to each and every case. Ms. Cornell is well known amongst her peers for her work in the global transvaginal mesh litigation. She served on the trial team against Mentor Worldwide and its parent company Johnson & Johnson that obtained a $4.4 million dollar verdict in 2016. Her experience working has proved invaluable to not only her clients, but also to other victims of defective medical products and dangers prescription medications. Ms. Cornell is currently working with victims of defective hernia mesh products to help hold manufacturers accountable for their defective devices and she also assists victims of personal injury accidents in getting compensation for their injuries. In her spare time, Ms. Cornell is an active member of the legal community. 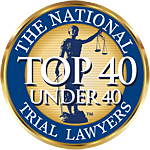 She has been named a Top 40 Under 40 by The National Trial Lawyers and is a 2018 Rising Star recipient, which is an honor reserved for only 2.5% of attorneys. Ms. Cornell is a member of the American Association for Justice (AAJ) and the Houston Trial Lawyers Association, where she currently serves as a member of the board of directors. She is also the treasurer for the Law Practice Management Section of the Houston Bar Association and serves on the board of directors for the Houston Trial Lawyers Foundation. Ms. Cornell received her Bachelor of Arts in Social Work at Grand Valley State University before attending Michigan State University College of Law, where she received Dean’s List recognition. While in her home state of Michigan, she worked as a probation officer in the 59th District Court, served as a Law Clerk to Judge F. Kay Behm in The Probate Court For The County of Genesee, and as a Law Clerk to Judge Joseph J. Farah of the 7th Circuit Court. “Experiences as a New Attorney,” University of Houston Pre-law Society, 2013.